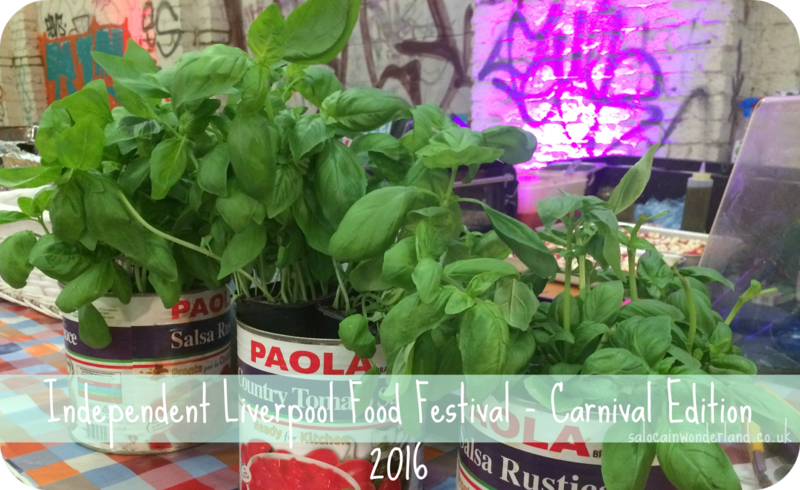 This past weekend saw the Liverpool Independents come together for a food festival extravaganza in the Baltic Warehouse. I was lucky enough to win two tickets to the Sunday so grabbed the foodie fiend that is the baby Bro and headed down to see what was going on. Can I just start by saying this space is amazing! I’ve never been inside the Baltic Warehouse and it sounds like there is stuff going on there all the time! 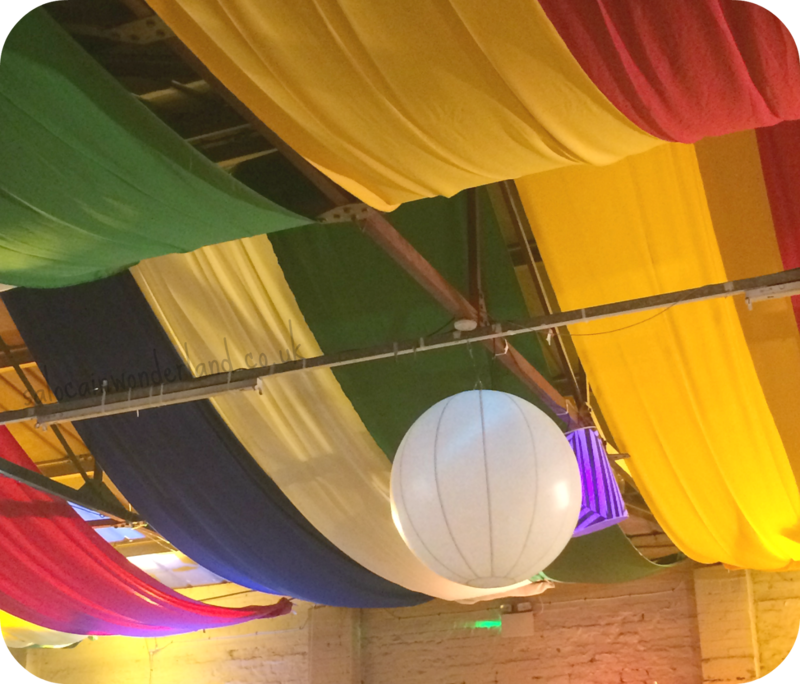 The space is huge, and was so vibrantly decorated, I could see where the carnival atmosphere was coming from. The space itself is split into 3 parts; 2 indoors and 1 outdoors. 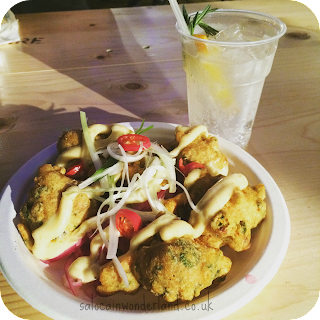 The main warehouse was where the stalls were cooking up an absolute storm on their grills and hot plates, the back warehouse for cake, coffee and cheese, then the outdoor botanical garden was serving up everything gin! There were a couple of bars dotted around here and there and a Prosecco trolley doing the rounds keeping every glass topped up - this should be a permanent thing! We did a not so quick walk round of the stalls, eyeing up all the delights on offer. The downside was it looked like a lot of them had already started to run out of a fair portion of their menus. I tried not to look at what they didn’t have, but of course, curiosity got the better of me and it was all the stuff I really wanted to try! We’d got there around 1pm, doors had opened at 12pm and would be open till 11pm. That being said, there was still plenty of food on offer, and I had made sure to wear an extra elasticated dress! I started off at Pao, ordering up a plate full of spinach pakoras that came on a bed of red onion, salad, smothered in a curry sauce and dressed with chilli. These were amazing! I don’t know what was in that sauce, it was kind of like a mayonnaise but with a curry flavour running through it, it was absolutely divine and really gave the spinach pakoras a kick. The Bro started with a steak burrito from Evil Eye Burrito that was jam packed with filling and all cooked fresh there and then in front of him. It was huge and a full meal in itself. This is where we started to go wrong. The past food festivals I’ve been to, portions have been small, think tapas sharing size, so we’ve usually spilt a couple between us and worked our way around a fair chunk of the festival, trying a lot of food. But out first two choices of the day ended up being bigger than expected and extremely filling. Uh oh. Next up, we hit Little Furnace. I’d planned to only get food I had never tried before, but their pizza looked amazing! We must have walked past about 10 times trying to decide. In the end, we gave in and grabbed two slices, pepperoni and sausage and garlic mushroom. 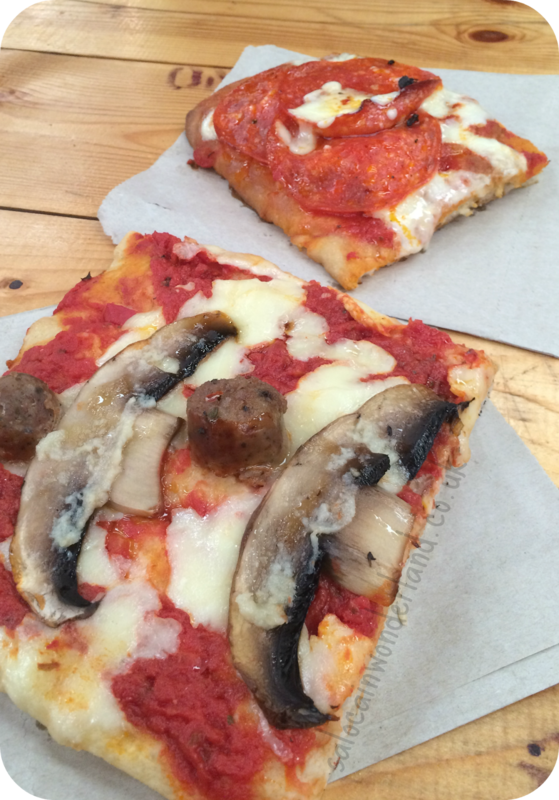 The base was a really well cooked sourdough bread that made the pizza, well, not taste like pizza. One slice was bigger than my head! We could have easily got one to share, and probably should have, even my extra elasticated dress was starting to strain at this point! We wandered the stalls some more, more so to try and walk off the pizza than anything else, taking in the atmosphere and eyeballing everything on offer for the millionth time. 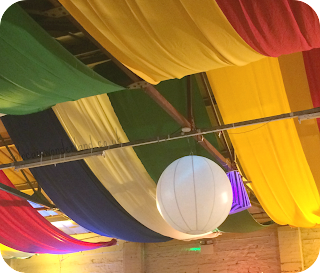 What I loved about this independent festival was that is was pretty small! In all there were 14 independents on the day, each offering 3-5 dishes, as well as drinks. Everything from vegan to burgers, hot dogs, clam chowder, flat bread, fries, cake, coffee, tofu and more, so there was defiantly a variety and something for everyone. The atmosphere itself was just brilliant and it was lovely to see so many families there with kids of all ages, I’m talking newborns to teens, all getting involved and filling their boots. They had a great kids corner set up too with games, crafts and face painting. After admitting defeat on the cooked food, we knew we couldn’t leave without trying something sweet, and Lauras Little Bakery was on hand to sort us out. 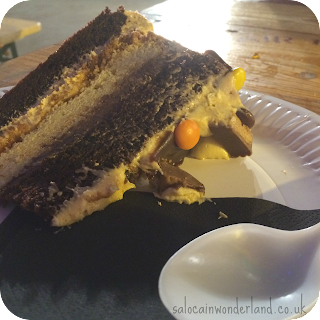 It took us longer to decide what cake to split - yes, we’d finally figured out sharing might be a good idea after all, than it did to do a couple of laps of the warehouse! Chocolate orange brownies, Ferrero Rocher cookie sandwiches, Reese's Pieces cupcakes and more red velvet than you can shake a stick at, the decision was impossible! After much deliberation and seeing the size of one slice of cake, we opted for the red velvet Reeses pieces cake with two spoons. Thick red velvet layers, with a vanilla sponge layer in the middle, sandwiched together with lashings of peanut butter frosting, biscuit, more frosting, and decorated with Reese's pieces and cups, it was everything and more! Throw in a couple of drinks, me getting lost looking for the toilets, being mistaken for someone called Leanne and lots of salivating over all the food, and you’ve got our afternoon covered. Unfortunately, we didn’t see any of the entertainment, I think this all started later on, but we still had a fantastic time, leaving around 4pm with our bellies full and a whole list of independent restaurants around the city that we must go and check out! It was a brilliant afternoon and I can’t wait for the next one! I loved the intimacy of the event, fewer stalls meant a more conscious selection and getting to know some new places is always a good thing in my books! I really hope they do another one between now and the big festival in September! How do you tackle food festivals? Fat pants? Keep it small? Or gorge until they have to roll you out? The pizza was amazing! So filling but so worth it! It sounds amazing! Those spinach pakoras look delicious and the cake, awww, the cake. The pakoras were nothing like I was expecting! They tasted so good I was tempted to go back for seconds! There was something in that sauce they put on them that just really made them something special!